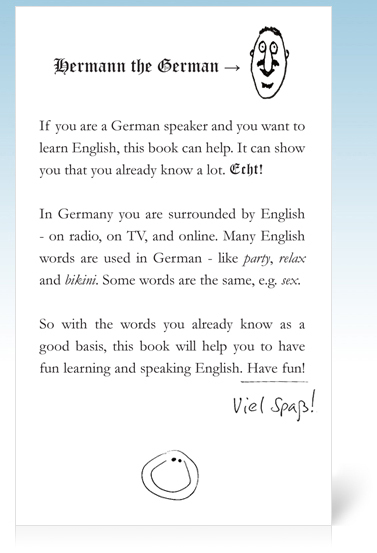 Information about 'English für Germans' by Simon Geraghty - A fun look at English, especially for Germans. 1. Basics, 2. Help, 3. Work, 4. Play, and 5. Fun. Within these chapters you can find most of the basic structures of the English language. You will also find silly drawings, as well as tips and short cuts for making English easy. 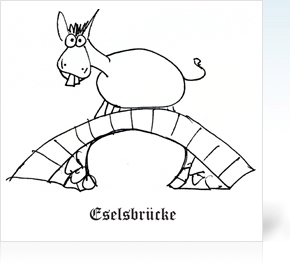 English für Germans was written, illustrated and designed by Simon Geraghty, an Irishman who's been teaching English to Germans for years – and having a laugh at the same time!